There are a lot of variations on the cat cafe theme out there. We’ve got a arcade game cat cafe, a giant, entire house cat cafe, and even a mobile cat cafe. And now this: a cat cafe train. Wait, what? Oh yeah, there’s a cat cafe train coming down the track. Leave it to Japan, party central for crazy cat people, to pair the brilliant match of rescue cats and trains. 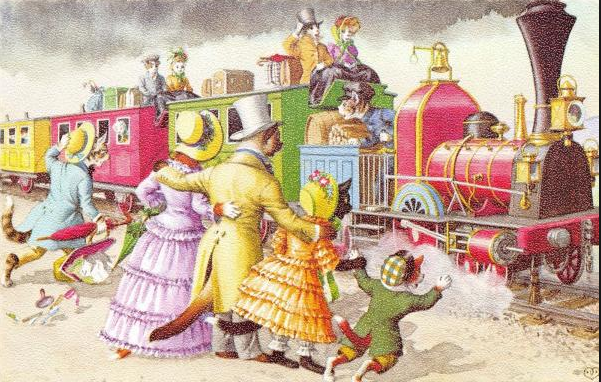 The Polar Express, it seems, has nothing on the Cat Cafe Train. In partnership with the Yoro Railway, the Gifu Prefecture cat sanctuary is taking their wildly popular cat cafe to the rails. At present, the Cat Cafe Train is a one-off affair. However, popularity suggests that the world needs more cat cafe trains: tickets sold out in less than twenty four hours for the world’s first cat train. 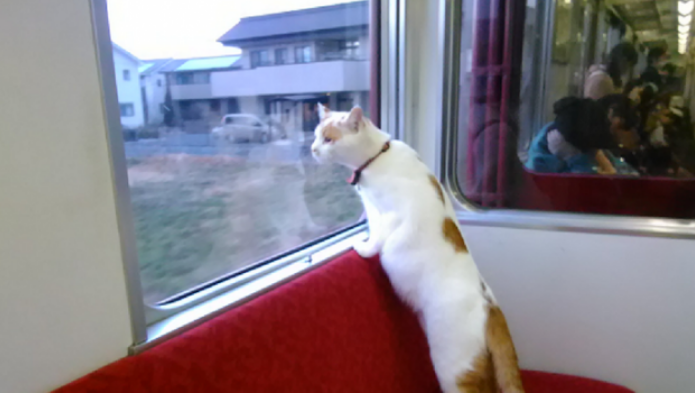 On September 10th, the Cat Cafe Train is leaving the station. Eighty cat lovers will be treated to a bento box lunch, treats, and -of course- cats. The excursion will last two and a half hours; long enough to fall in love and begin the adoption process. And why not? Love and forever homes are found in crazier places. Snowstorms, truck stops, and shelter kennels produce some of the greatest love affairs in feline history. As in other parts of the world, such creative efforts are much needed in Japan. Adoption advocates not only have to compete with Japan’s lightly regulated pet store and breeding industry, they are on the front lines of coping with the “extra” animals produced for commercial benefit. 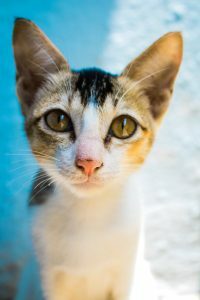 A recent article reports that the number of cats purchased at pet stores in Japan is double that of the number of cats adopted. According to Yano Economics, two million cats were purchased and one million adopted in 2014. So get on the train: adopt, don’t shop! No word yet on what the cats think of the cat train. But somehow we think they’ll be on board. 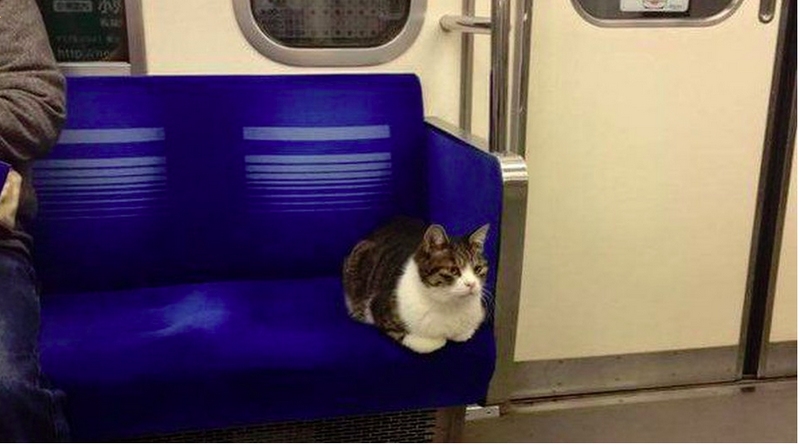 In 2016, the Tokyo subway cat hit the news and gave us a collective “Awwwwww” for his habit of hopping on and off trains with riders. Even train officials couldn’t resist, giving the commuter cat a free ticket to ride the rails in exchange for the delight he brought passengers. We’re not yet clear on the logistics of how the Cat Cafe Train will work. If you have yet to visit one, check our cat cafe directory to find a U.S. location near you. Cat cafe veterans are well familiar with rules designed to keep the cats safe and comfortable. Security features like double doors to prevent escape are common. Will the cats already be in their seats when the passengers arrive? Will they be released from their carriers all at once? So many questions! All Aboard the Cat Cafe Train! We’re sure the cats will soon be like all the other cool commuters. All this has us thinking: what’s next? Cat Cruises. Cats on a Plane. The possibilities are endless, but we’re pretty sure people all over the world will be on board. Join in! Ride this train, y’all!